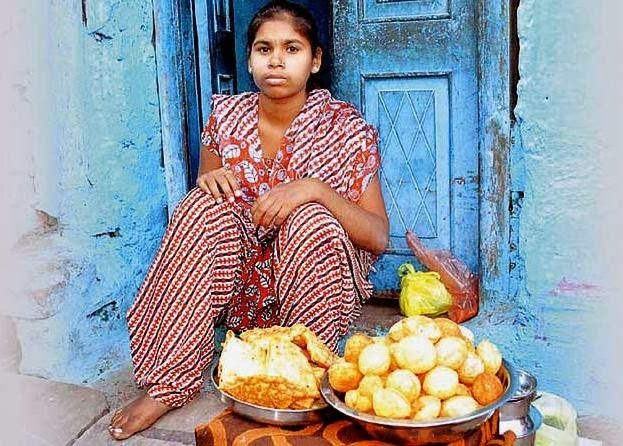 After doing India proud by winning two bronze medals at the 2011 Athens special Olympics, Sita Sahu, a mentally challenged teenager from Rewa, today helps her mother sell 'gol gappas' in a ghetto settlement. Official neglect has stopped the 15-year-old athlete's promising career in tracks. There were two Cinderella moments in Sita's life. First when she accompanied seven other kids to Shivraj Singh Chauhan's residence on June 8, 2011 for tea with the chief minister. Less than a month later, came the crowning glory when she returned home on July 6, 2011 from Athens with two bronze medals -in 200 metres and 1,600 metres- from the special Games. "The 15-day stay in Athens had transformed her completely- from a diffident and morose girl to a confident teenager. She learnt to comb her hair neatly and mingle with other participants," said coach Sajid Masood who has since lost touch with her. Masood counted how announcements of cash prizes rained from the state government. Social justice minister Gopal Bhargava had announced Rs 1 lakh for gold, Rs 75,000 for silver and Rs 50,000 for bronze. "Thus Sita was entitled to Rs 1 lakh. But nothing came her way despite several reminders while the CM rewarded Olympic winner from Haryana Susheel Kumar," he lamented. Sita's mother, Kiran Sahu, though seems to have taken it in her stride. "They promised her the moon, but nothing has come her way. Now we have decided to teach her other skills that would fetch money," she said when contacted by TOI on Monday. Kiran refused to allow Sita to participate in the conversation, claiming "it will only upset her further". "My daughter can roll out perfectly round 'gol gappas' and fry them golden brown," she said with a sense of pride. Usha Sahu, Sita's trainer and teacher from Rewa, recollected wistfully how her protege's potential went waste. It was during a sports event in Sneha School for the Mentally Challenged that Usha spotted the shy and reticent 13-year-old who stumbled while walking but sprinted like a colt. She gradually moulded her pupil who made it to the state and national level competitions. Usha recounted that convincing Sita's parents was the most difficult hurdle. "When she won two bronze medals, they waited for the cash incentives announced, only to be disheartened. Any mention of her past makes the family fly into a rage. Hence I don't broach the topic," she said. The social justice minister said neither the girl nor her parents ever met him. "Now that I know about her plight, I will make all enquiries and help her out," Bhargava told TOI. Geeta Kamte, joint director in the department of social justice, shifted the onus on the district administration. "The collector can grant her assistance of up to Rs 2 lakh, but we have no such authority."